180 Monterey St., Poinciana, Fla.
Congrats to our Teammate Bridget Bright for helping her clients find the home of their dreams. Bridget worked tirelessly to secure this home under listing price and close on time. Reach out to Bridget to see how she can help you find your next home. This functional kitchen features unique cabinetry and trim with plenty of storage and countertop space. 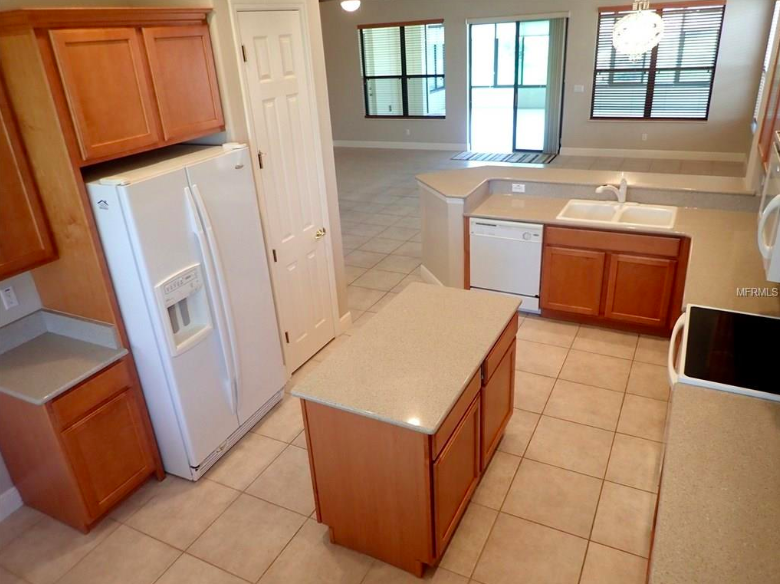 The appliances are new, and the main focal point of this kitchen is the center island. The master bathroom has dual vanities, a large walk-in shower, plus a private water closet. The privacy window in the shower lets in plenty of natural light too. There are two unique outdoor entertain spaces in this villa - an enclosed, climate controlled Florida room, and a covered, screened-in porch. You'll make plenty of use out of both of these spaces.